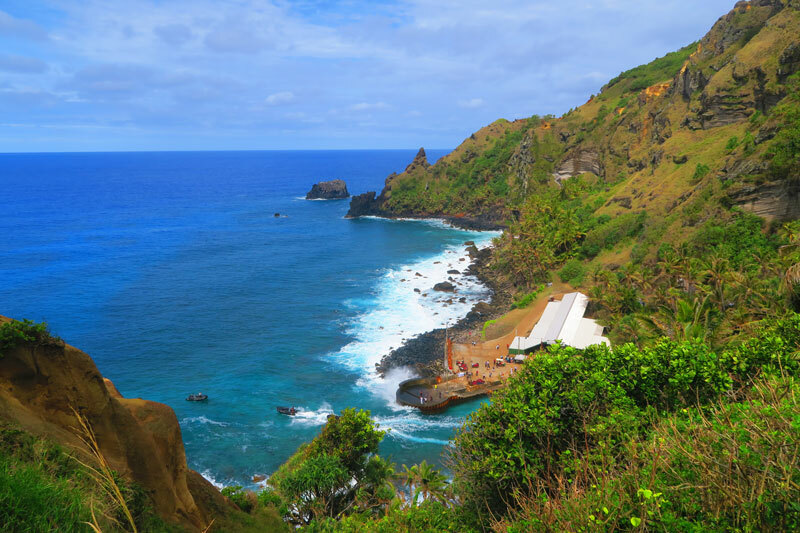 Listed here are the top Pitcairn Island sites you should see during your visit. This will obviously depend on the amount of time you have on the island and the weather. 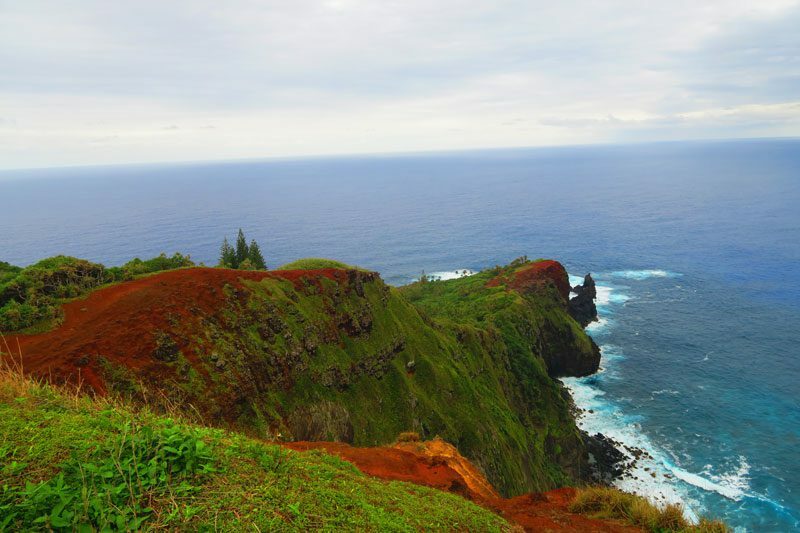 In the next section, I’ll highlight the best Pitcairn Island hikes and walking trails. Follow the sites mentioned in this section on this interactive map. 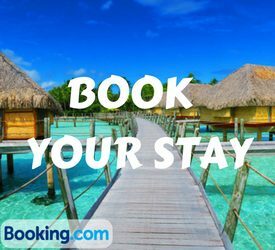 Simply click on the image to open in Google Maps. 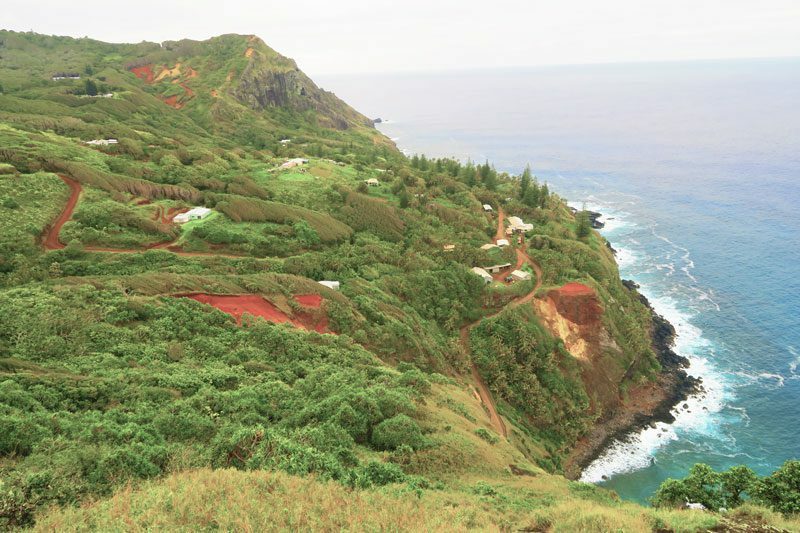 You can also follow along on these scanned official Pitcairn Island maps. 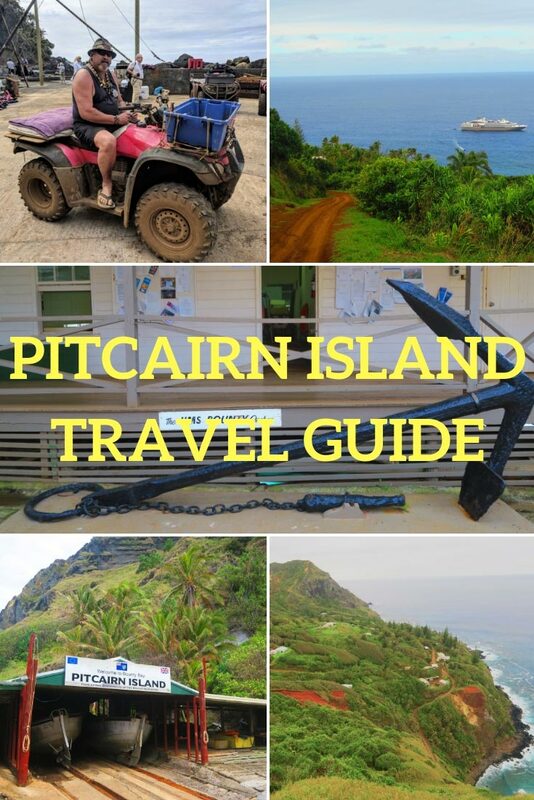 Download copies in PDF format here (Adamstown, Pitcairn Island). 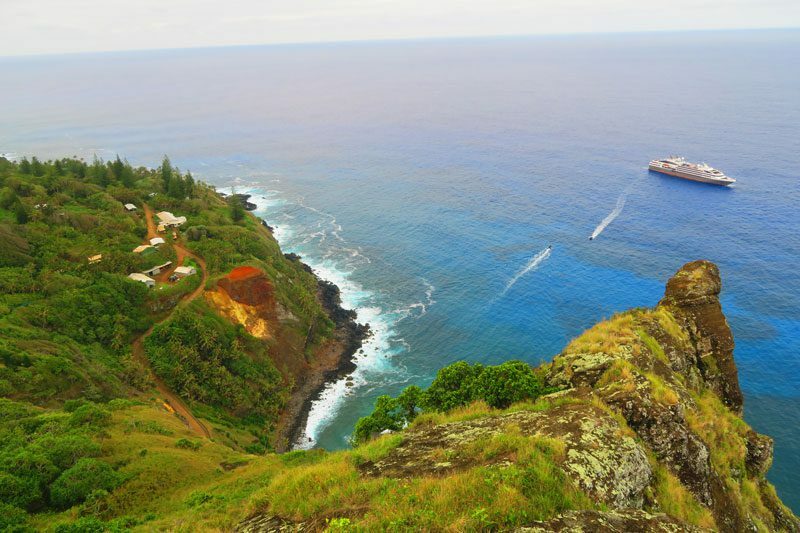 This is currently the only landing area on Pitcairn Island and it’s not exactly what you would call a harbor. Over the years, efforts have been made to tame the power of the ocean but it is still a rough landing on most days. Bounty Bay is also the site of the Bounty wreckage which lies just a few meters beneath the waves. It is very common to spot sea turtles and rare birds hanging around the landing area. 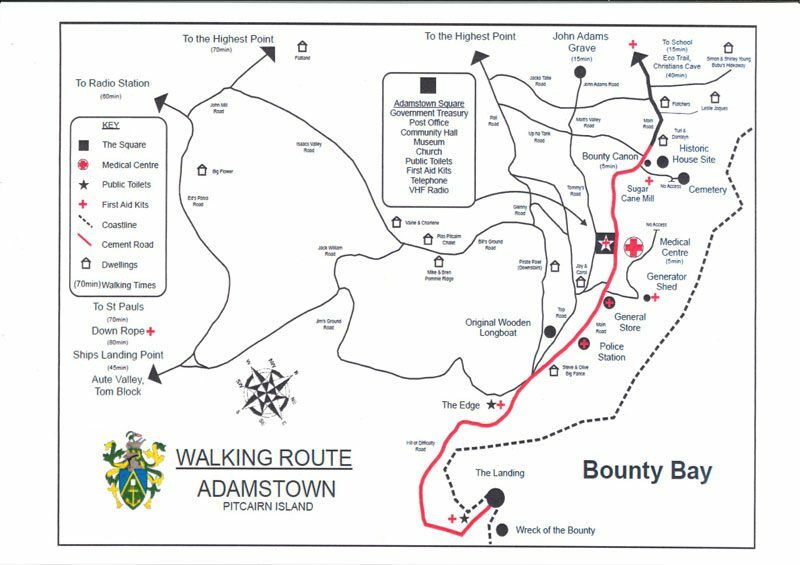 The legendary trail leading from Bounty Bay to Adamstown was the original path taken by the mutineers when they landed. 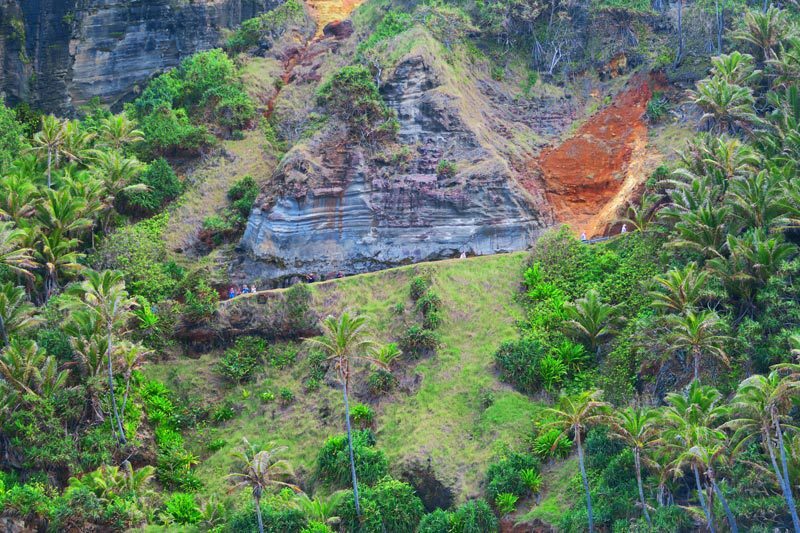 It steeply rises for 70 meters hugging the side of the cliff. As in the old days, all supply must still be transported up this road. Before the arrival of motor vehicles in the 1960s locals were known for their high level of fitness, having to often go up and down the Hill of Difficulty. 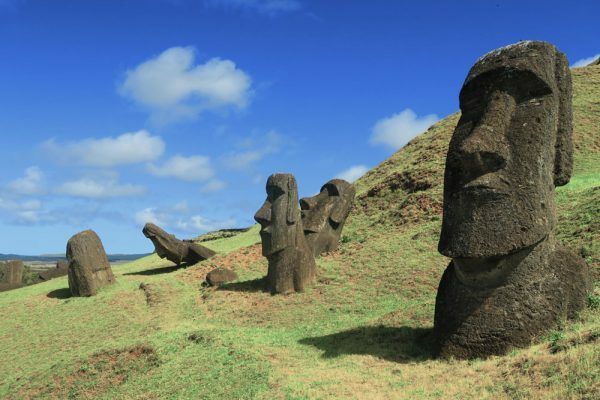 Reports even tell of elderly locals giving a ride on their backs to visitors who found it difficult to scale the hill. 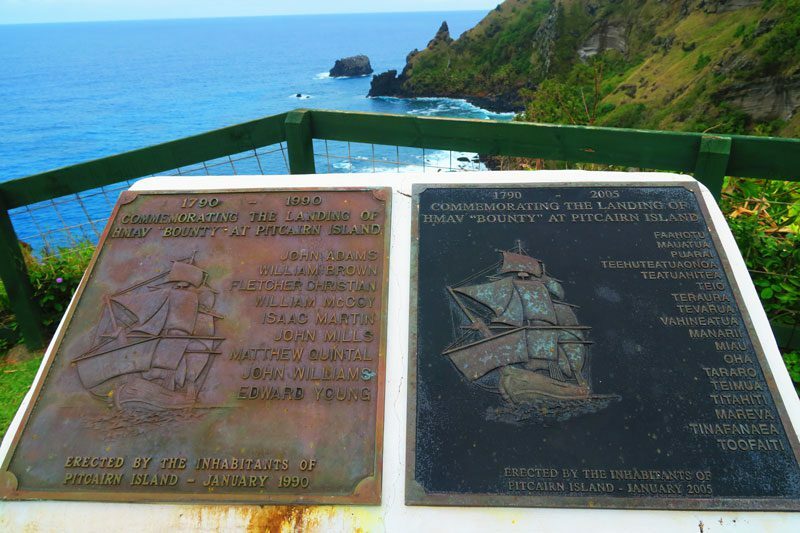 On your left just as you finish climbing the Hill of Difficulty, The Edge is an iconic lookout point over Bounty Bay and home to commemorative plaques honoring the original settlers of Pitcairn, both the British mutineers and Polynesian men and women. 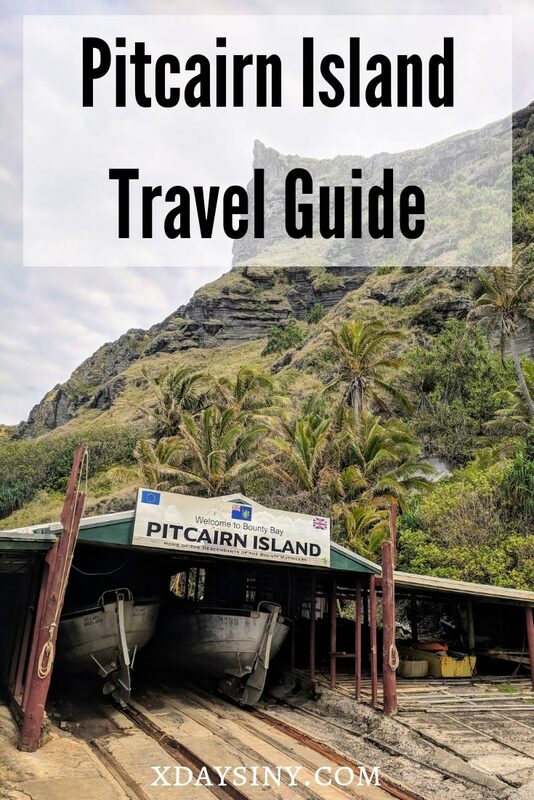 The only settlement on the island, Adamstown – population fewer than 50 – isn’t a very happening place but it will be if you visit Pitcairn on a cruise ship. On the outskirts of the village are the local police station, health center, and general shop but most of the “action” is centered around the main square. This is also where Pitcairners gather in the small community hall. 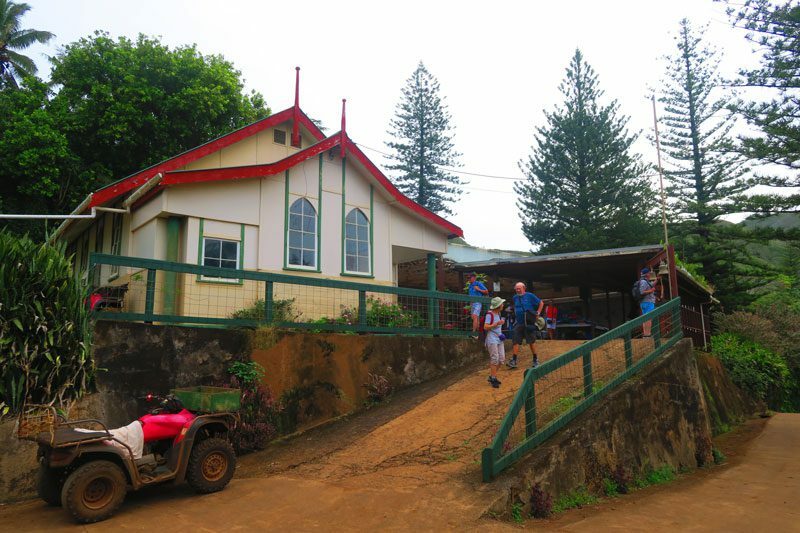 Reached via a flight of stairs just behind the main square, Pitcairn’s museum ($5 entree) is home to the Bounty Bible as well as many artifacts from the legendary ship and ancient Polynesian settlement. 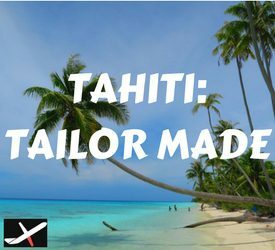 It is well worth the visit but can get very crowded when cruise ships visit. Many locals sell collector stamps but if you actually want to send something home or buy individual stamps, head to the local post office. 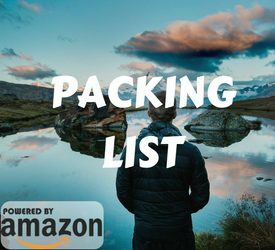 Keep in mind though that it will take several months for any parcel to reach its destination. 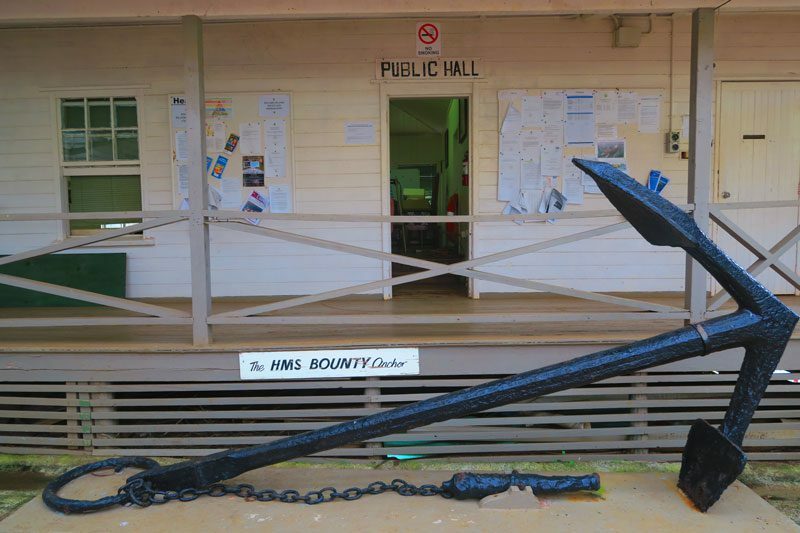 Salvaged in 1957 from Bounty Bay, the massive anchor of the HMS Bounty is proudly displayed in the main square. 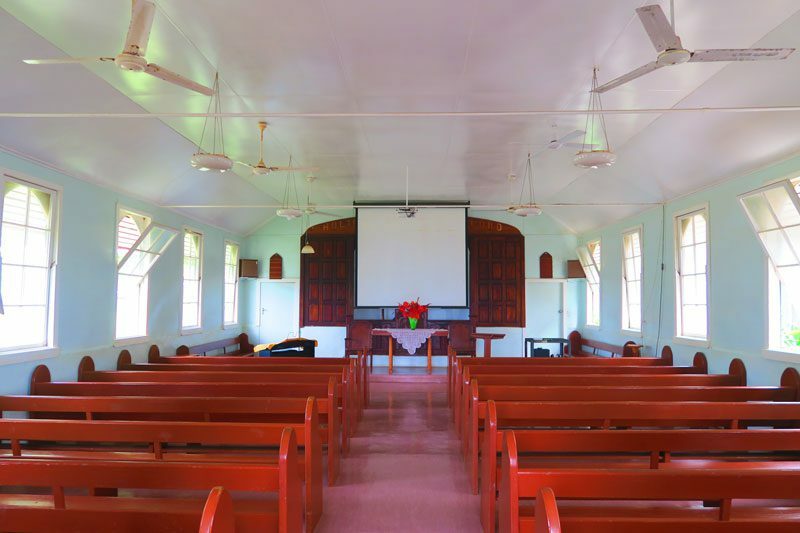 Built in 1954, Pitcairners associate themselves with the Seventh Day Adventist Church since conversion in the late 1880s. 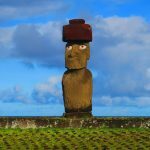 These days, few locals attend Sunday church service but be sure to try your luck when you visit. 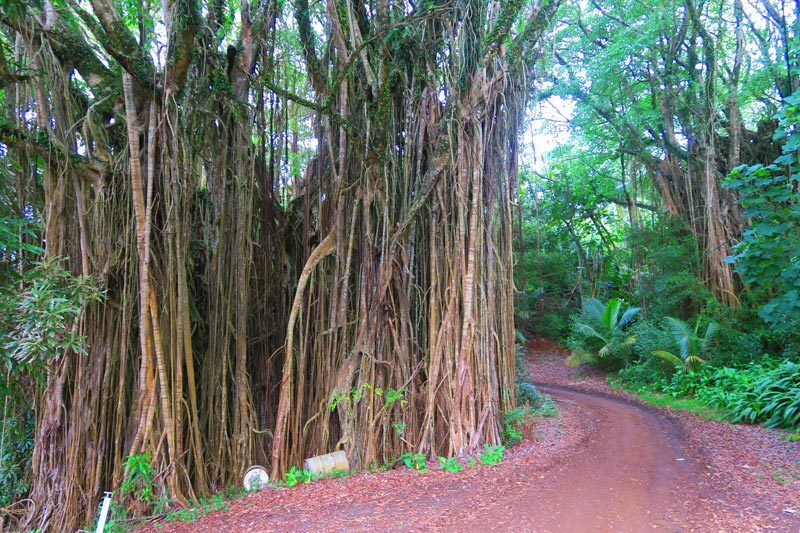 On the “outskirts” of Adamstown just before you reach the cemetery, Pitcairn’s likely ancient look-and-feel comes into view in the form of a giant banyan tree. 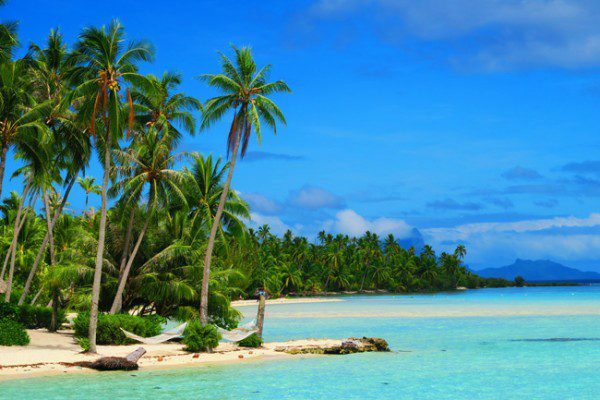 This part of the island is very tropical with many birds and colorful flowers hanging around. 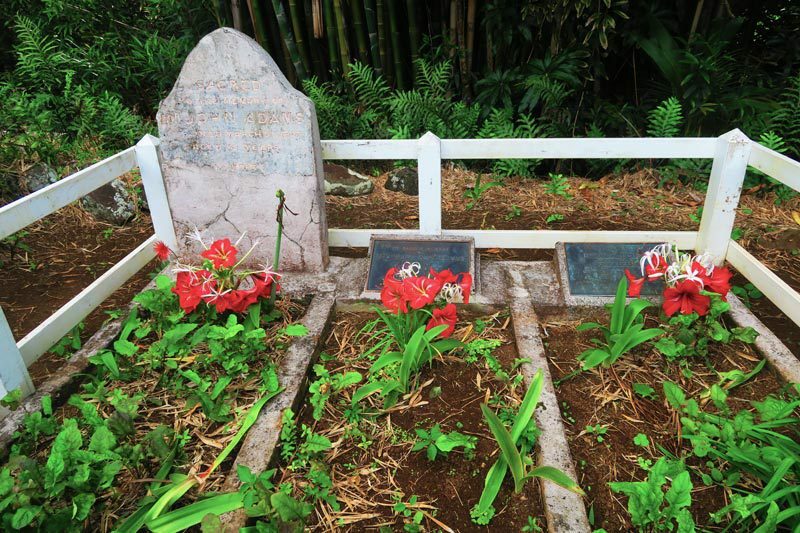 The island’s cemetery is populated a just small handful of family names. 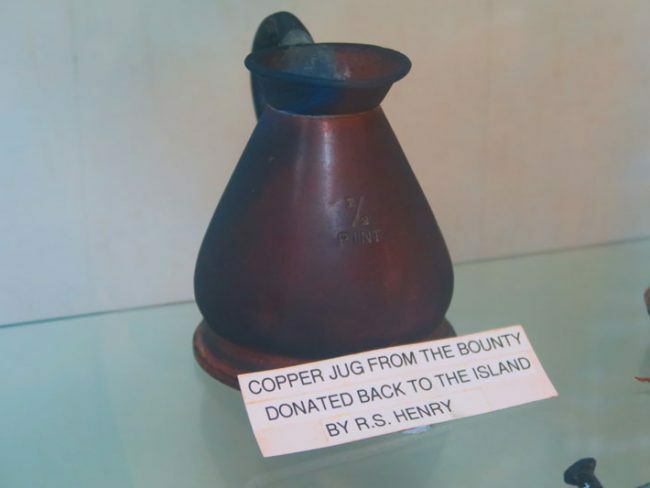 For those familiar with the story of Bounty, they won’t come as a shocking surprise. At the turnoff to the cemetery from the main road, one of the rusty Bounty canons is on display. 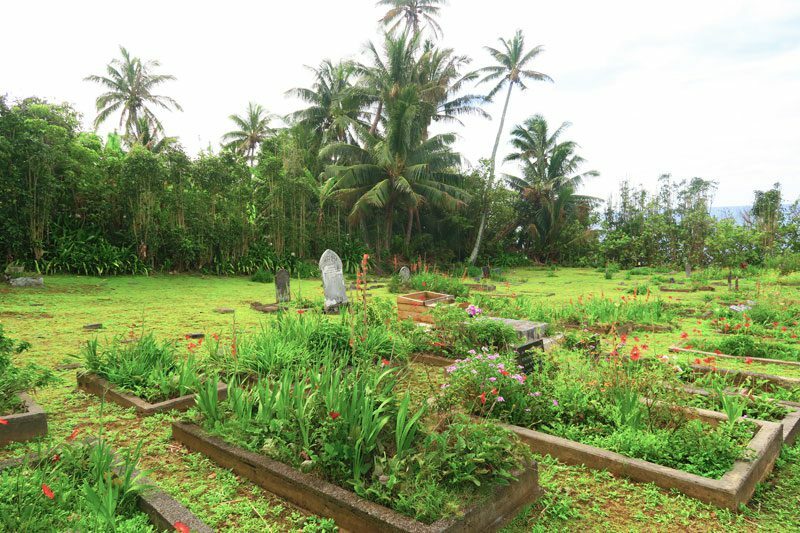 Further along, the cemetery path stands Pitcairn’s sugar cane mill. 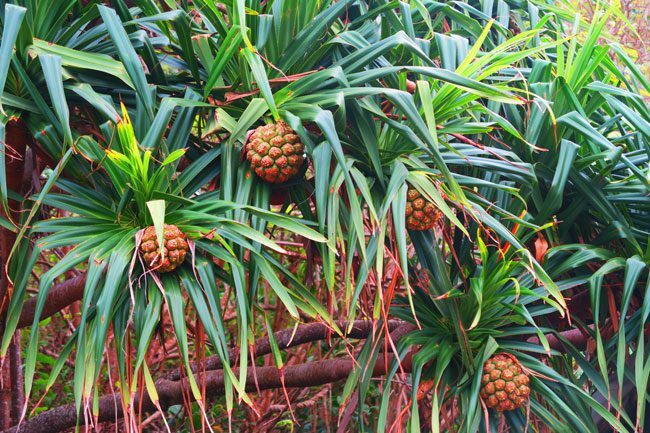 A long-running community tradition, locals gather each year to produce sugar syrup that will be used for making pudding and other sweet delights. 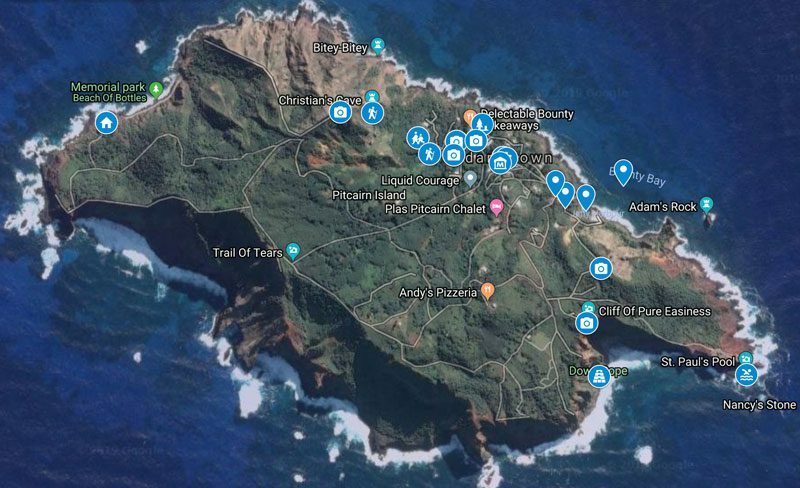 The only school on the island, there are currently more toilet stalls than the current school roster. The complex itself is far beyond the needs of the island, with plenty of space and even a large herb garden. Tourists are welcome to visit after 10:30 am when school is in session. 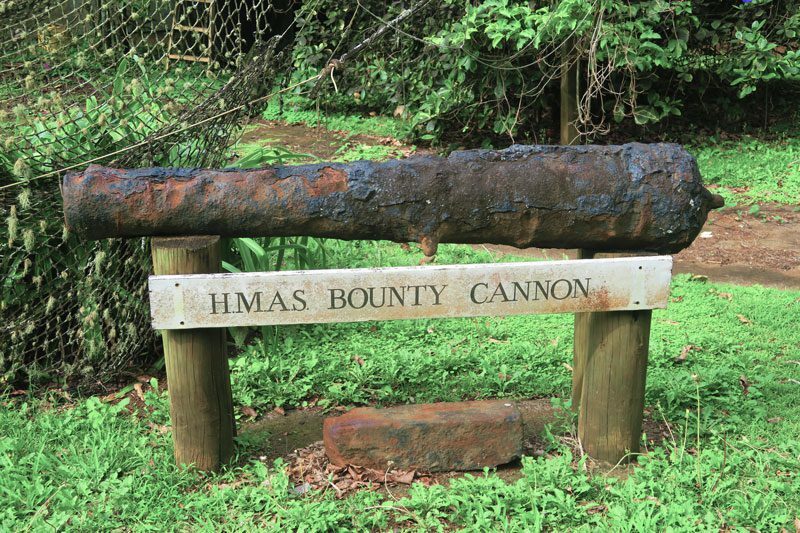 Known as the “father” of the modern settlement on Pitcairn, John Adams is the only mutineer whose burial site is marked. 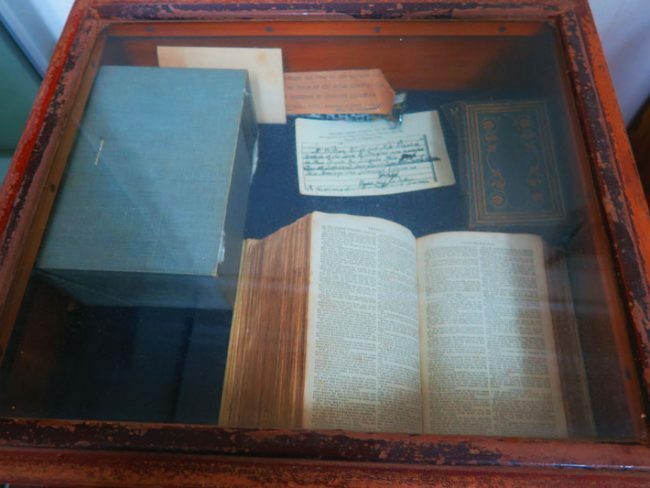 Adams was more or less illiterate when he landed on Pitcairn but thanks to a fellow mutineer and the Bounty’s bible, Adams became a devout Christian. The only mutineer to survive a bloody civil war and deadly accidents, Adams formed a religious community living in harmony. 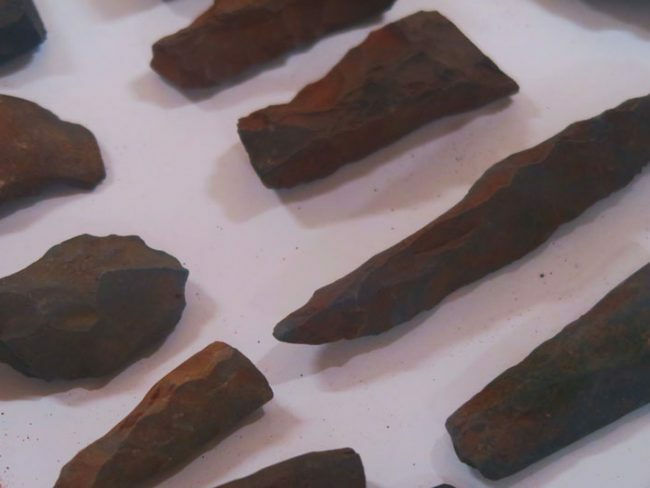 So amazed were early visitors who ended the settlement’s isolation, that Adams was forgiven for his crime. Adams is buried next to his wife and daughter. 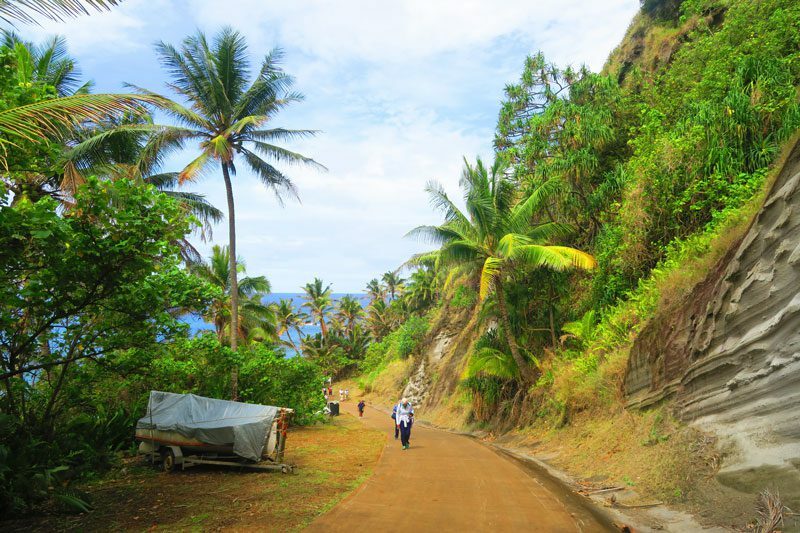 The Eco Trail is a lovely path which heads through a lush part of the island towards Fletcher Christian’s cave. 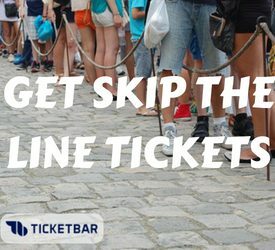 It isn’t a long walk and nature lovers will appreciate it. 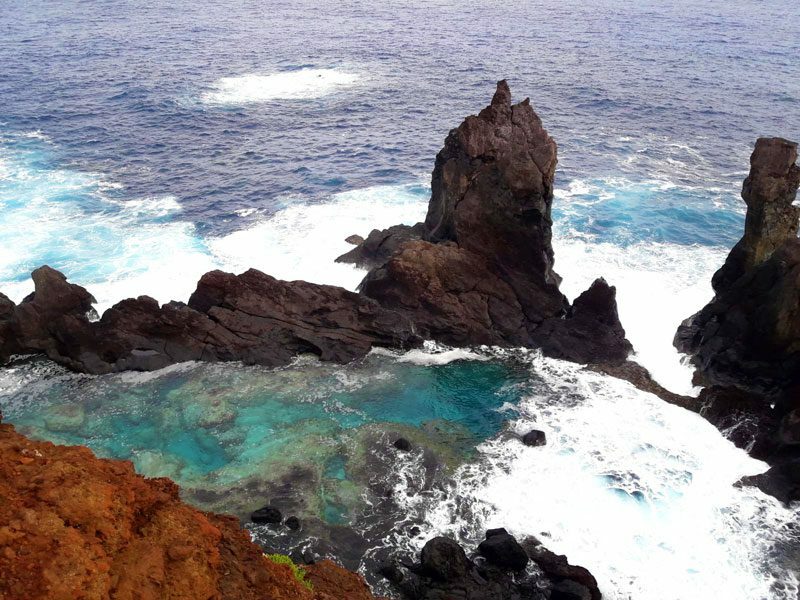 It is said that Fletcher Christian spent many hours in solitude up here, gazing at the endless ocean in fear of a British search party out for revenge or perhaps in remorse for having sent his former mentor – Captain Bligh – off on a small boat with little provision (Bligh and his loyalists managed to make it to Timor in an incredible feat of survival and navigation). You can reach Christian’s Cave via a short climb from the end of the Eco Trail but be sure to take extra care and do not attempt to climb to the cave after it has rained. 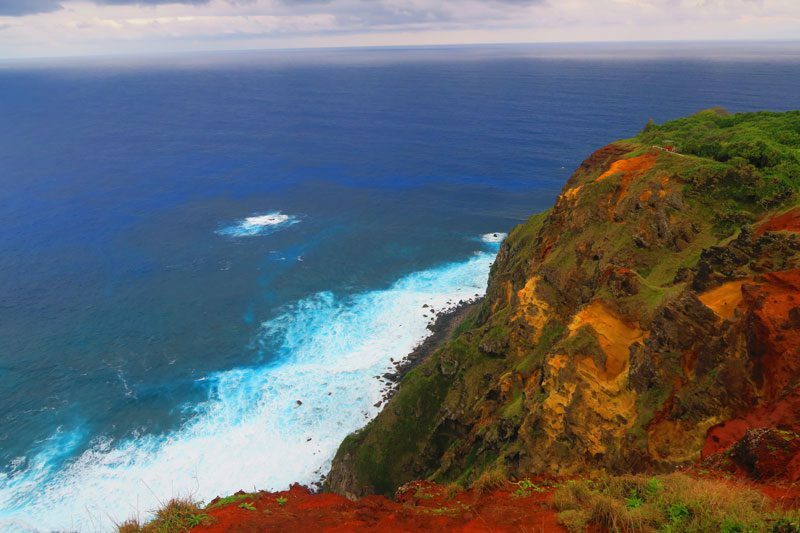 At 347 meters, the highest point on Pitcairn offers unbeatable 360-degree views plus there’s a cool sign listing just how far you are from just about anywhere in the world. If it’s a clear day, be sure to come up here either on foot or on a quad for a picnic. 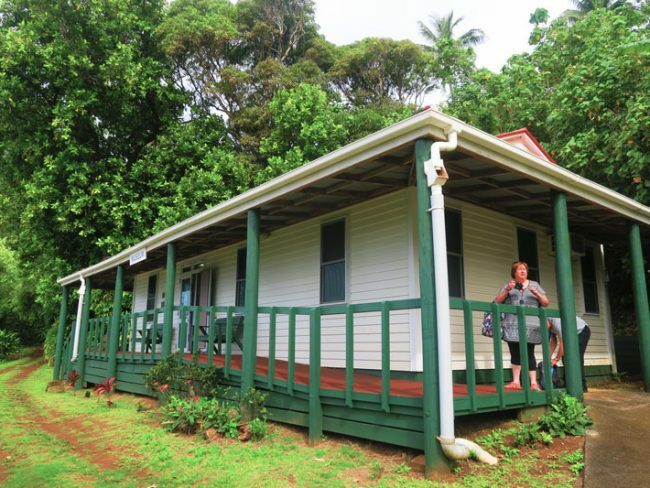 A magnificent lookout high above Bounty Bay with sweeping views of Adamstown. 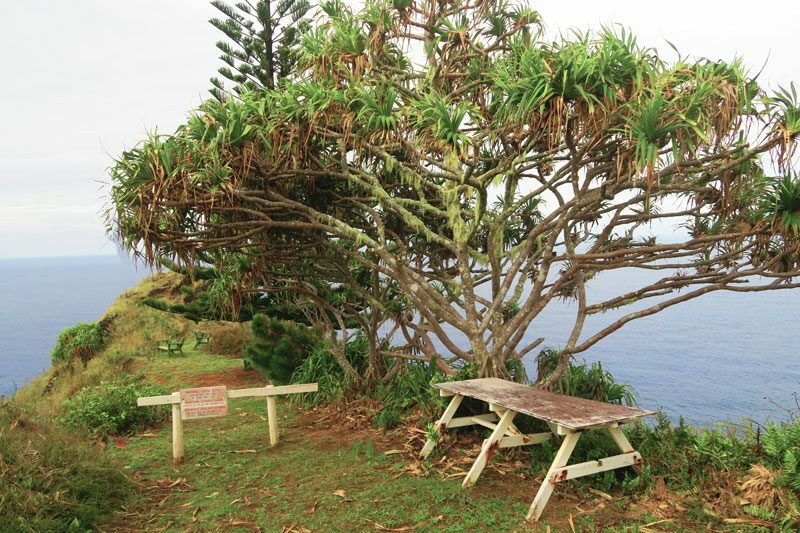 Picnic tables are available and you’ll want to leave enough time to hang around this scenic spot. 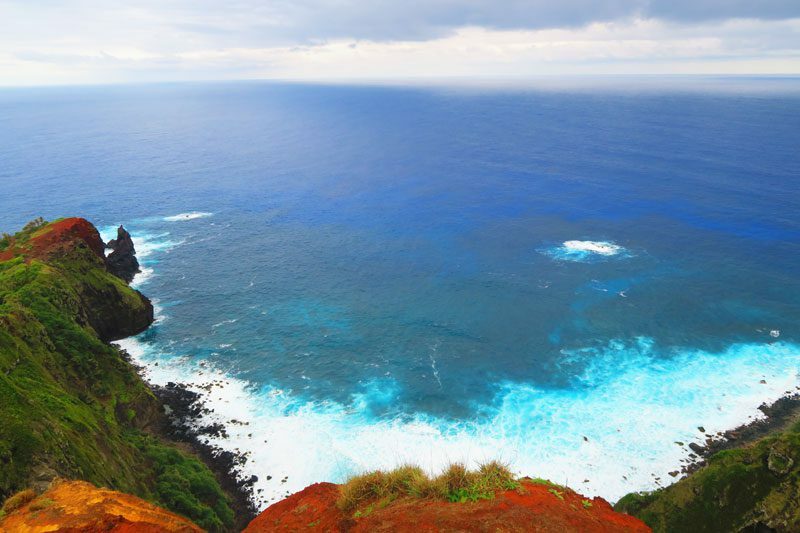 This is a prime lookout during the whale season (July-October) and if you can’t make it all the way to St Paul’s Pool, you can catch a glimpse of the natural wonder from up here. 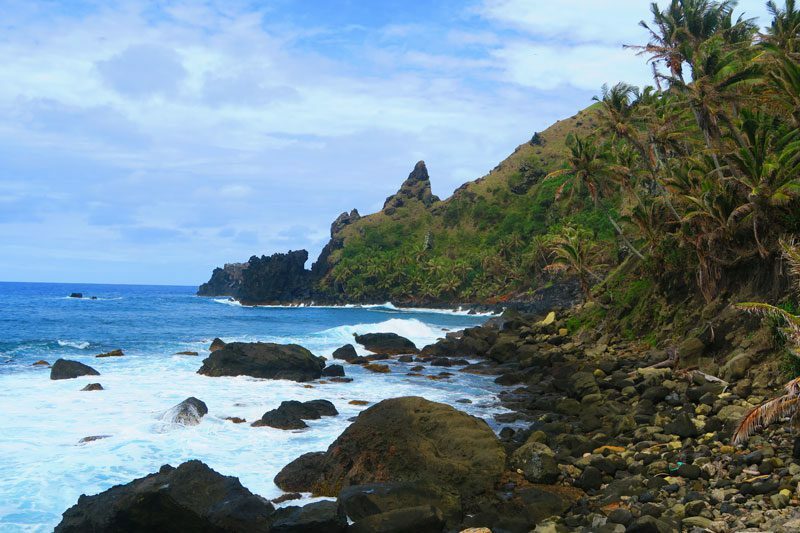 One of the least accessible spots on Pitcairn, be sure to only visit with a local guide. 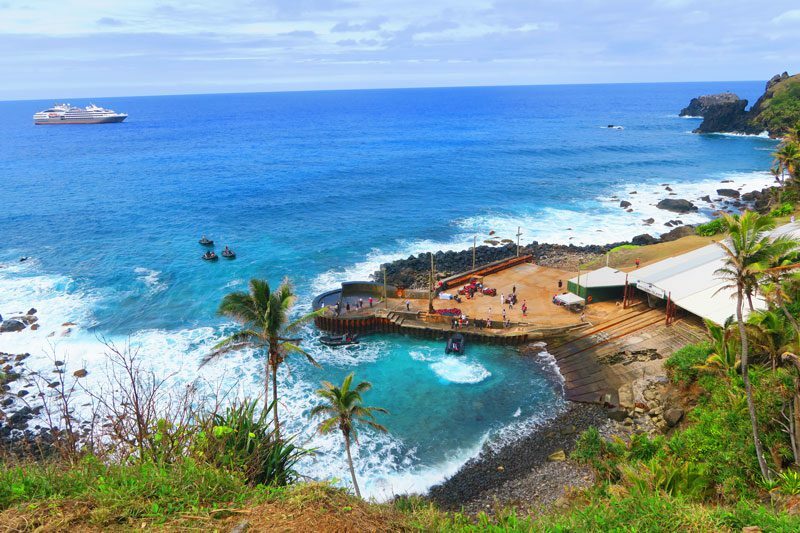 Down Rope is the only beach on Pitcairn Island and it also served as an obsidian quarry for ancient Polynesians. It is still possible to see petroglyphs left behind. 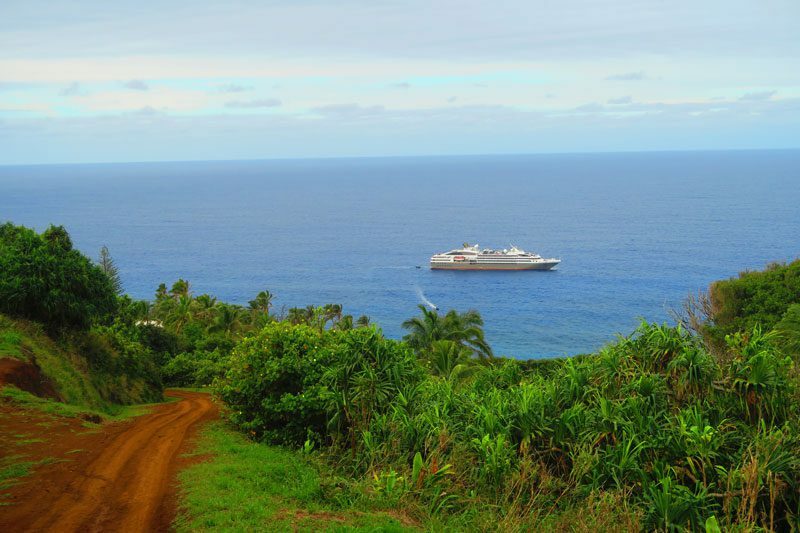 Probably the most impressive natural feature of the island, this is one of the must-see highlights on Pitcairn! 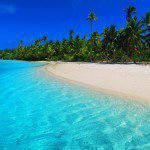 St Paul’s is a natural pool cradled by a rocky outer layer that forms a cathedral-like experience. 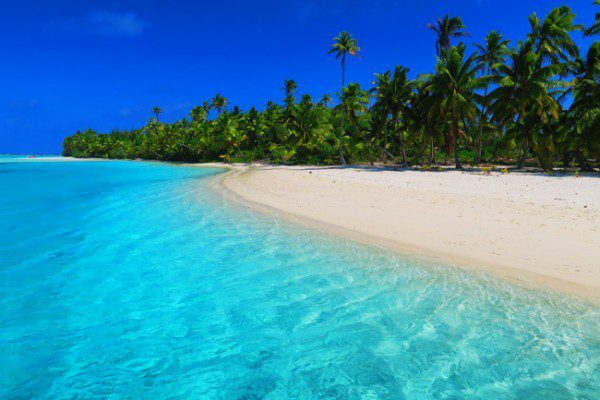 The water is crystal clear and you can even find lobsters if you come equipped with a mask and snorkel. Access to the pool is a bit challenging and swimming is weather dependent as the pool is often battered by ocean waves. Swimming is at your own risk and be sure to be accompanied by locals. 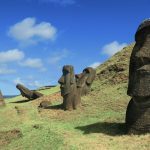 Tedside is the furthest spot on the island and en route, you can pay a visit to Pitcairn’s celebrity Galapagos turtle known locally as Miz T. Tedside is also the site of an alternative landing area for ships and a favorite fishing spot for Pitcairners. From July to October, humpback whales visit the waters off Pitcairn to give birth and mate. With a lot of patience, you should be able to spot whales from the many lookout points on the island. 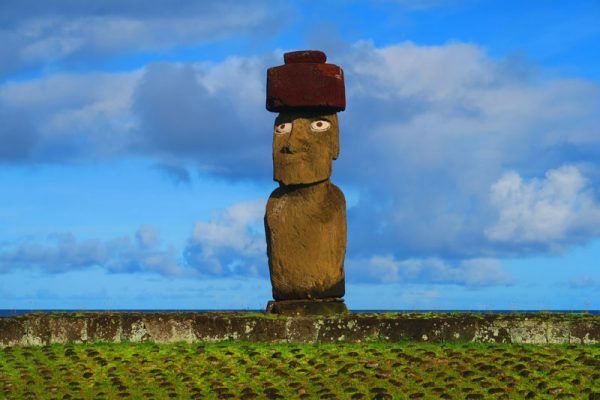 For close encounters, inquire with the locals. 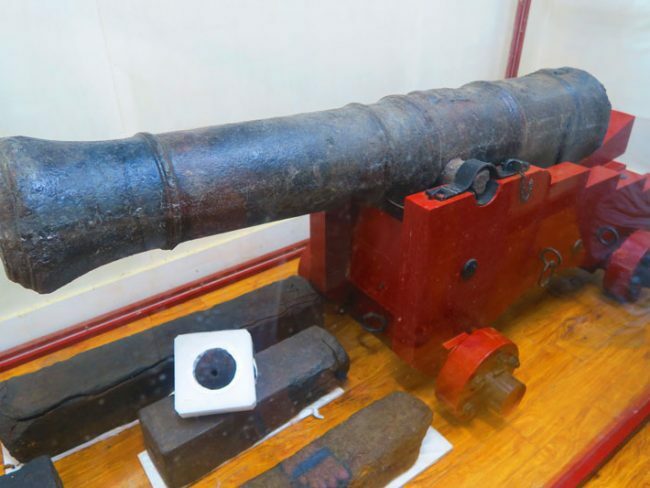 Though it’s been over 220 years since the Bounty was sunk by the mutineers – ample time for wood to decay and for looters to salvage highly-prized souvenirs, it is still possible to see a few underwater relics of the HMS Bounty. 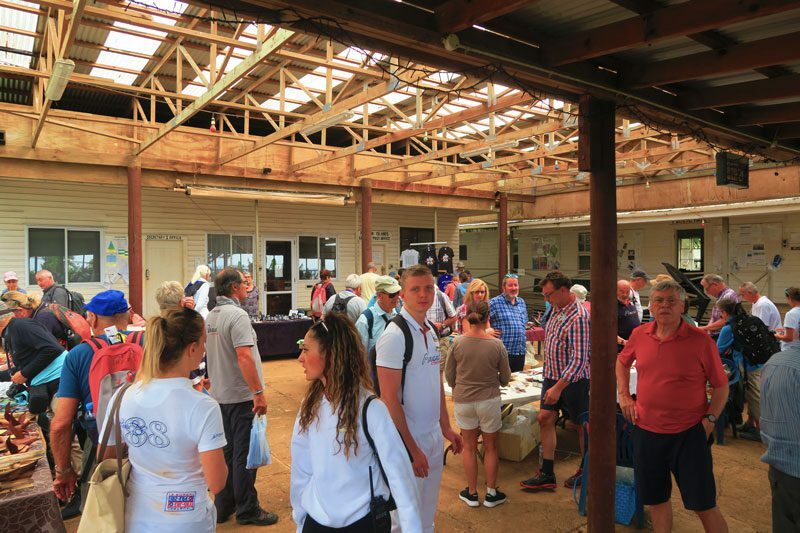 Experienced divers might have some luck with organizing a dive in Bounty Bay so be sure to bring your credentials with you. 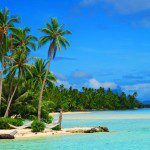 Islanders occasionally visit Henderson Island for leisure but mainly to collect craft wood and even more rarely visit Oeno Atoll. 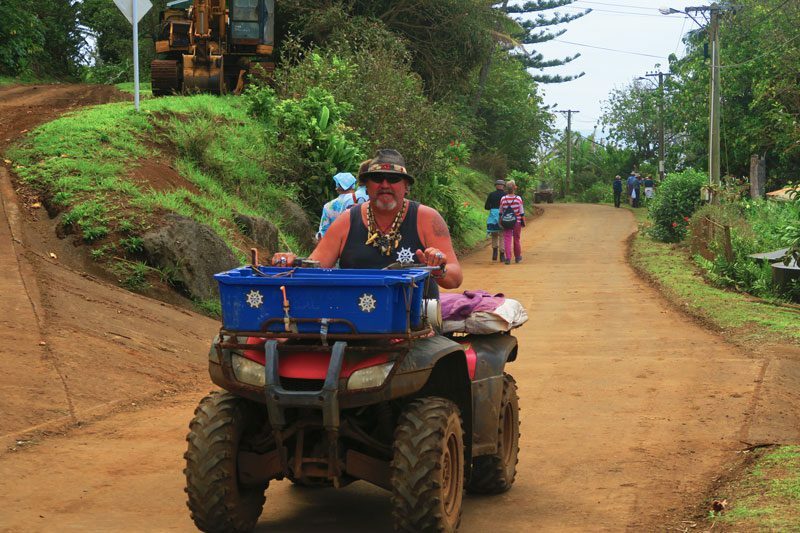 Even for local Pitcairners, scoring a seat on a boat heading to the outer islands is quite an accomplishment so I can’t suspect tourists will have any luck. 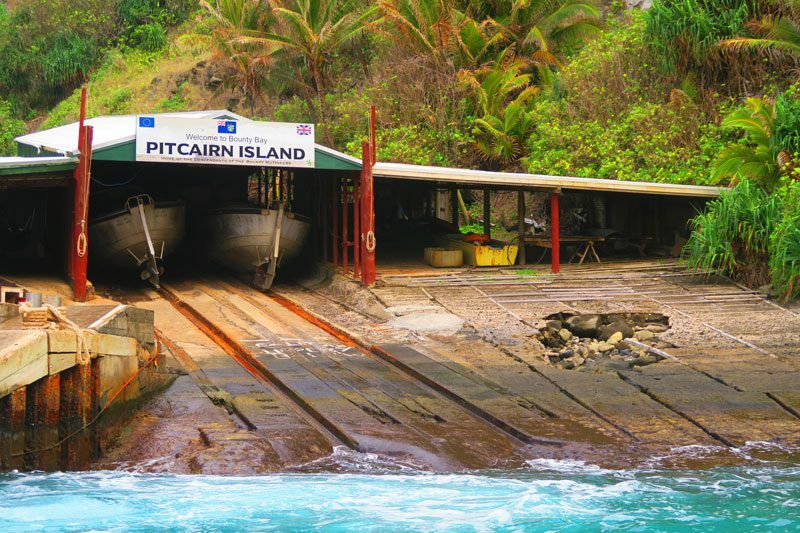 If you do visit Pitcairn on a chartered yacht, be sure to explore this opportunity. 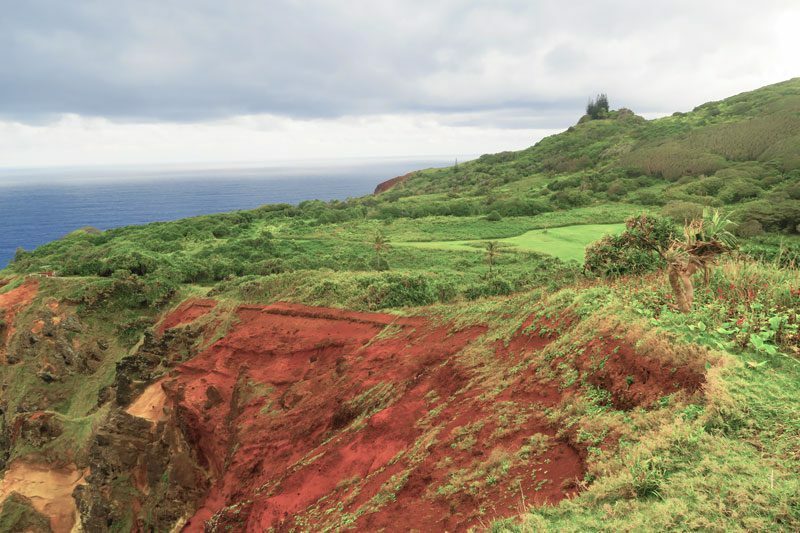 Pitcairn Island is a paradise for hikers. The island has many marked trails which lead visitors to the most interesting points on the island. 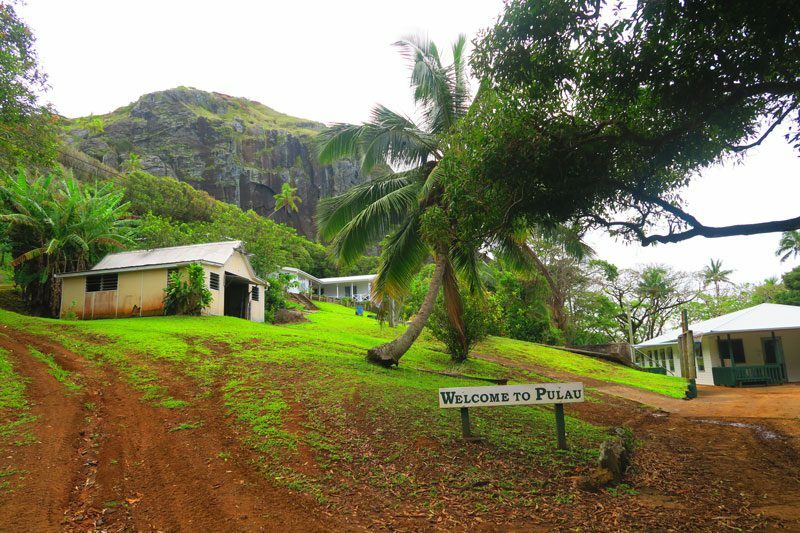 Be sure to keep your eyes peeled and spot some of the rare endemic birds which call Pitcairn home. Also, please do take extra caution and watch your footing. Do not leave the trails as accidents have happened! 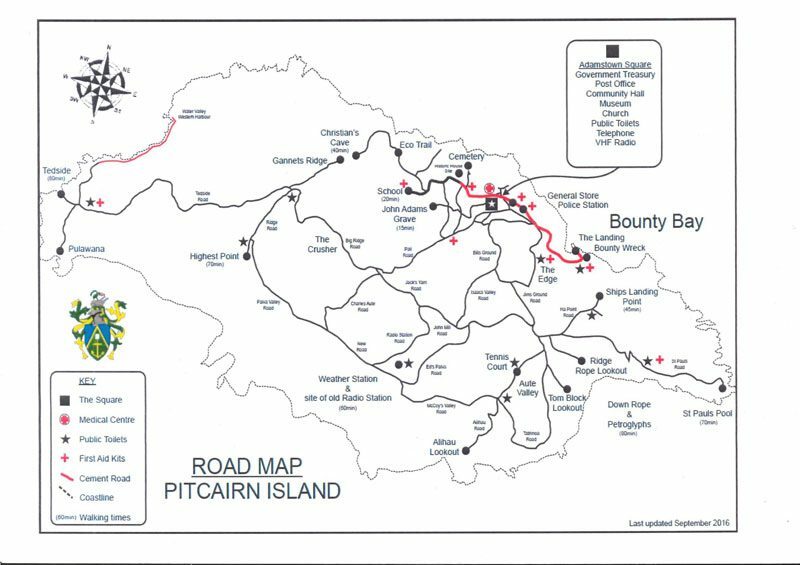 Here is a scanned map of the official trails on Pitcairn. The times mentioned are return times from Adamstown. 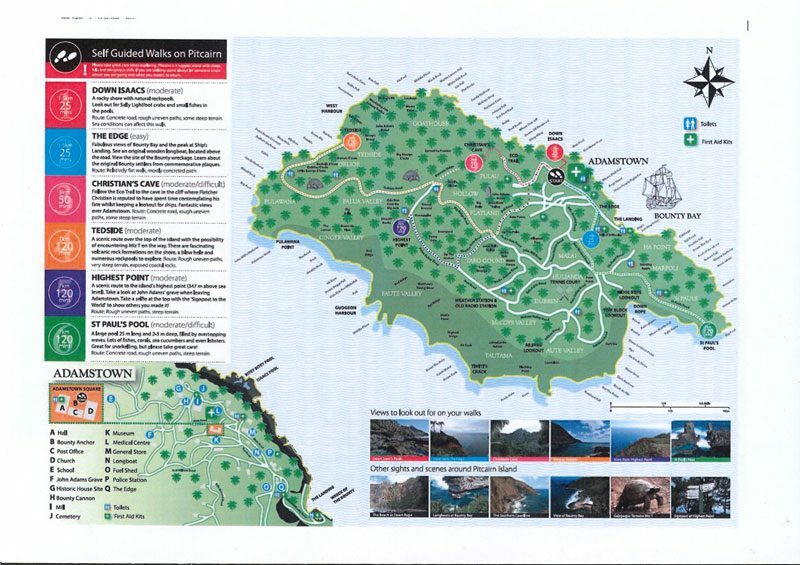 You can download the map in PDF format here.